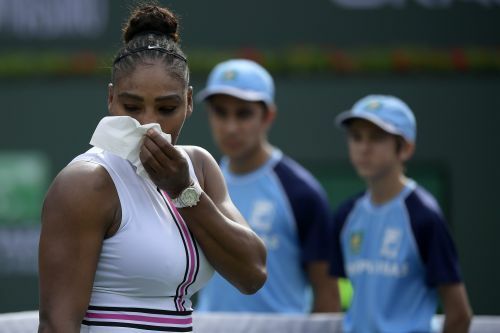 "By the score, it might have looked like I started well, but I was not feeling at all well physically," Williams said in comments distributed by tournament officials. "It's really a weird feeling because I don't feel like I won the match point and well done, good match," Muguruza said. "It was just like, 'Man, we'll play next time.'" "If I maybe would have served a little bit better, I think things would have gone faster," Federer said. "But at the end it was a tough second set, and it's maybe also exactly what I needed." "If someone would have told me I would have gone to the third round of this tournament at the beginning of the year, I would have said, 'You're crazy,'" Andreescu said. "This is one of the best tournaments in the world, so I'm just really, really happy." Other seeded men's winners were: No. 6 Kei Nishikori, No. 8 John Isner, No. 10 Marin Cilic, No. 12 Karen Khachanov, No. 14 Daniil Medvedev, No. 22 Kyle Edmund, No. 25 Diego Schwartzman and No. 32 Guido Pella.